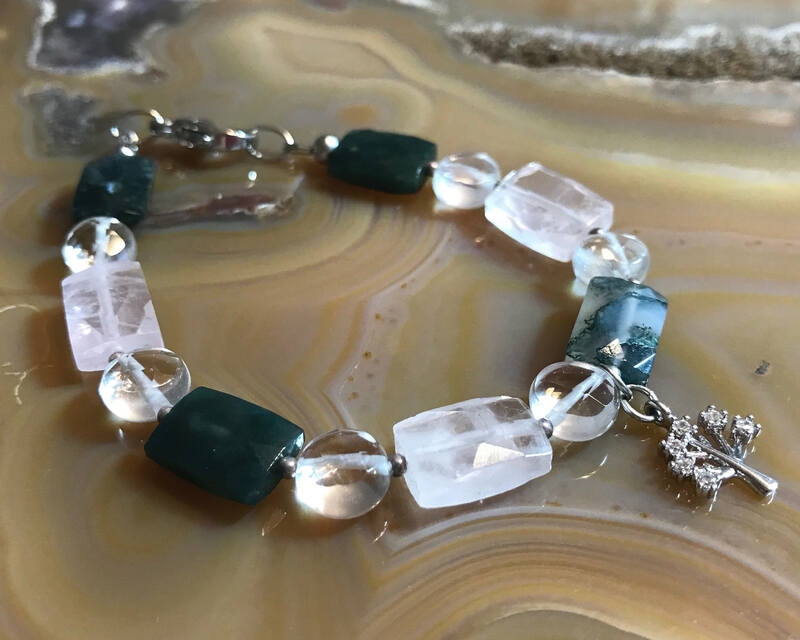 My Mother's Love Bracelet is made of Rose Quartz, Quartz, and Moss Agate. I picked these three stones because to me they symbolize a mother's love. Rose Quartz is known as the "love stone," the energy it emits is that of unconditional love, joy warmth and healing. Moss Agate is the stone of "new beginnings." It refreshes the soul and enable us to see the beauty is all we see. And Quartz is an "energy stone." Because Quartz amplifies energy, it is extremely beneficial for manifesting healing, protection, meditation. The three stones working together support a mother's love for her partner, her children, and her family.